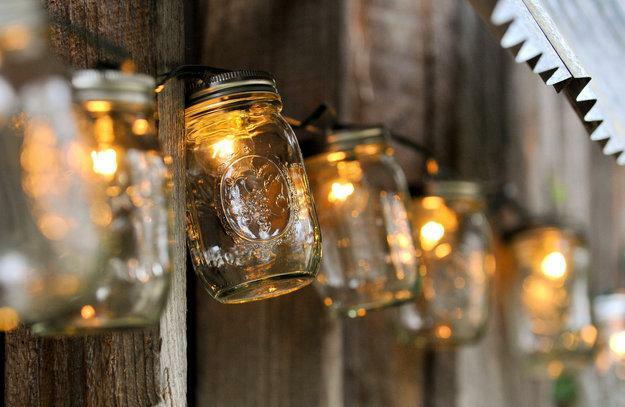 Outdoor Lights look romantic and spectacular at night, decorating yards for a perfect summer party. 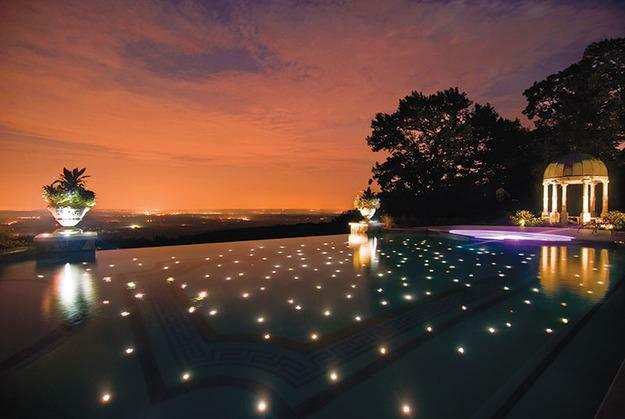 Outdoor lights are one of the easiest ways to create amazing atmosphere and add stunning look to yard landscaping. Lushome shares beautiful yard decorating ideas that blend attractive landscaping designs with modern outdoor lights, and create gorgeous outdoor living spaces. 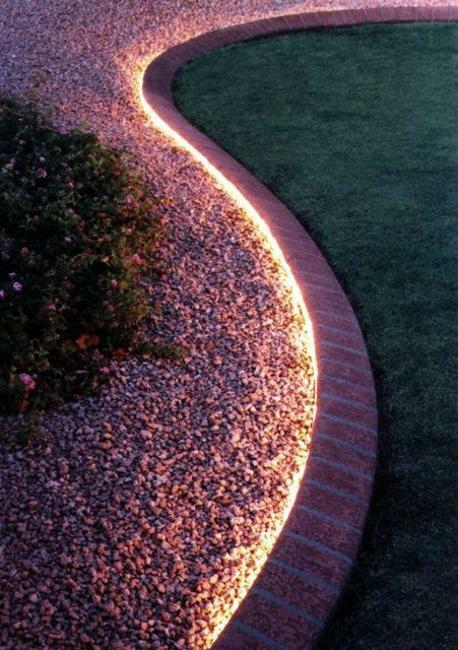 Yard landscaping can be enriched by adding creative lighting design. 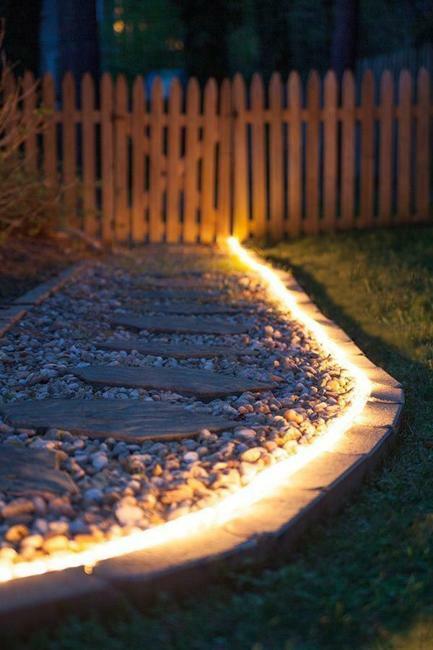 Unique lighting ideas dramatically transform outdoor rooms and add fantastic accents to garden paths and walkways. 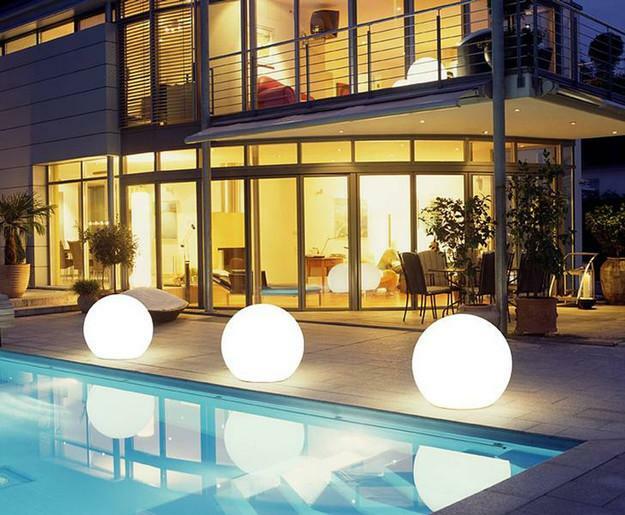 Modern outdoor lights come in various materials, designs, sizes and colors, so to find the perfect lighting fixtures for your outdoor living spaces is easy. 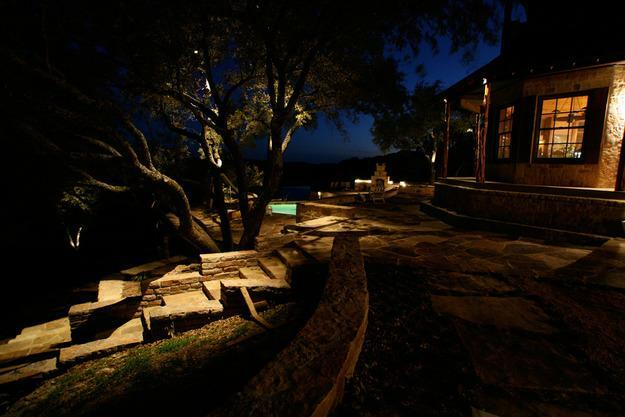 Here are the collection of yard landscaping ideas brightened up by adding beautiful lighting design. 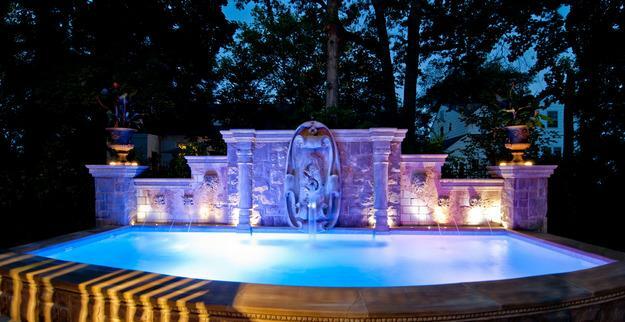 Most of these ideas are easy to apply for creating unique, romantic and safe backyard designs. 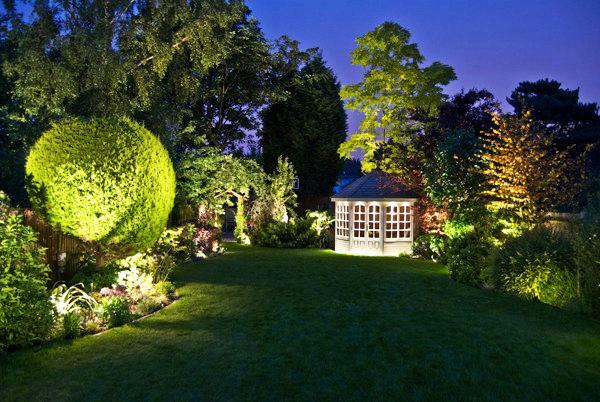 Outdoor lights can create a cascading effect or accentuate different areas in your garden. 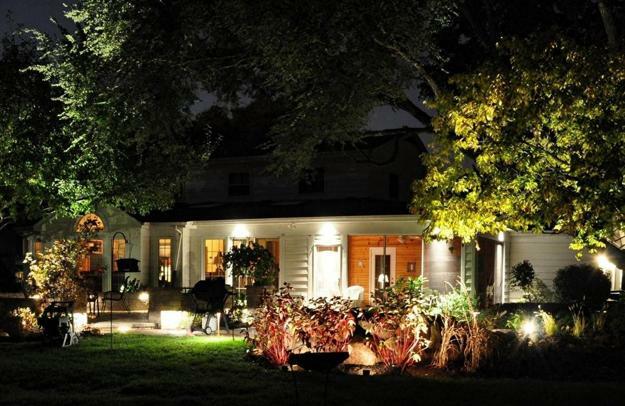 Outdoor lighting design allows to admire the beauty of soft glow at night and make yard landscaping safe and inviting. 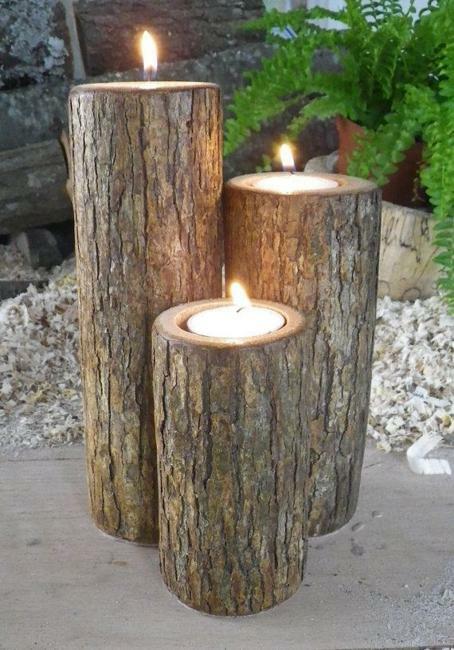 Modern lighting ideas are impressive. 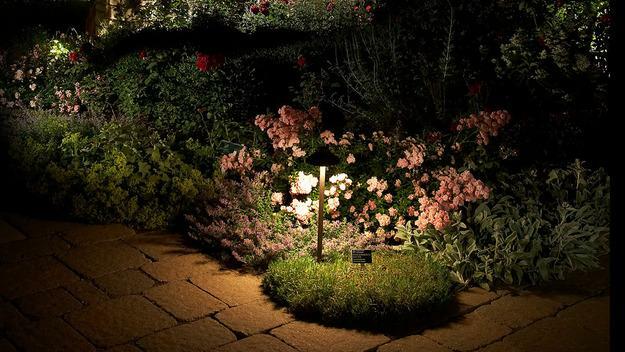 Outdoor lights help design fascinating compositions that make yard landscaping appeal mysterious and majestic. 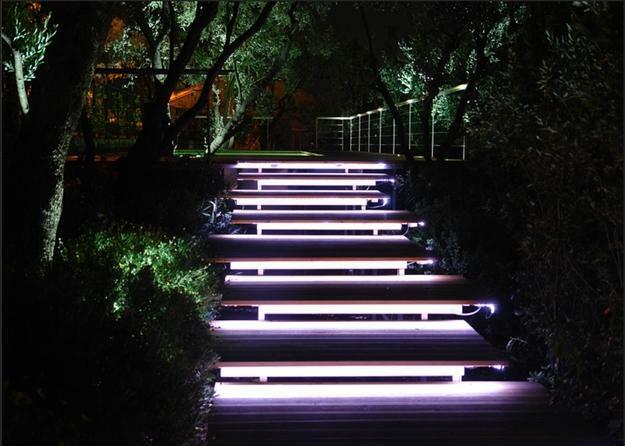 LED lights can change colors and turn even ordinary outdoor home decor into fantastic, colorful and surprising yard decorations. 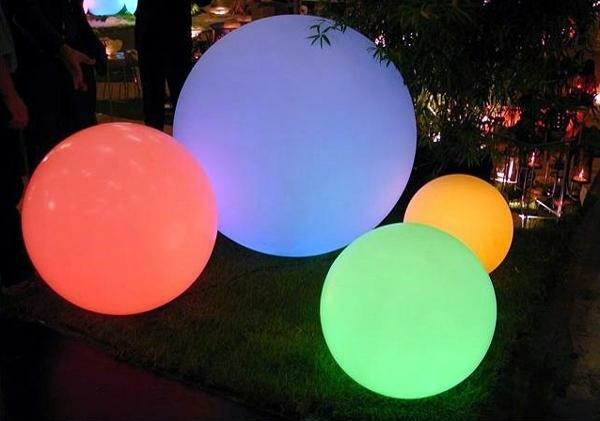 Glowing and in the dark and changing color planters, outdoor furniture, garden sculptures and pool lights are beautiful yard decorations. 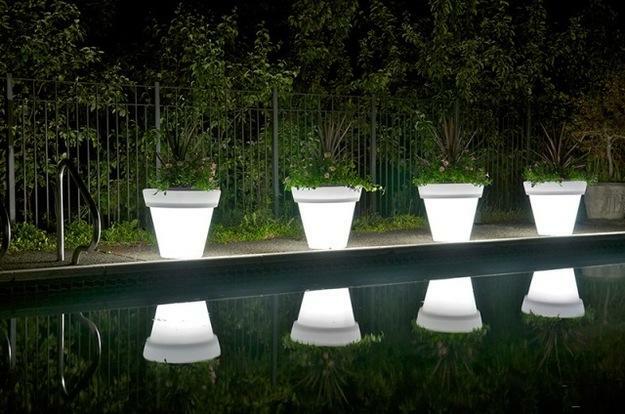 Large pots in various shapes, decorated with flowers look spectacular at night. 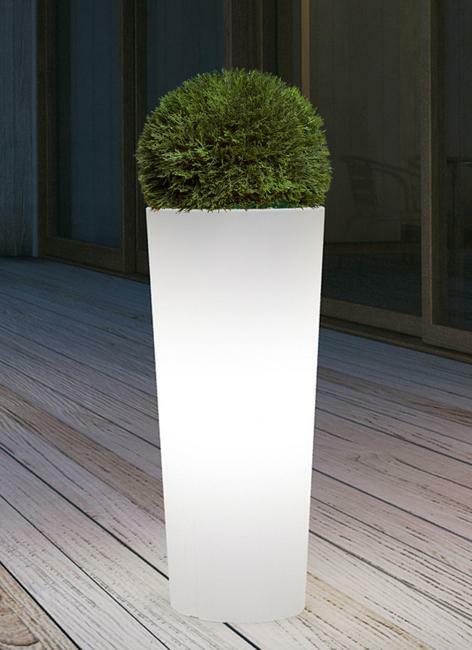 Made of translucent plastic, modern planters often feature LED lights that glow elegantly at night adding fascinating accents to yard landscaping and summer party decor. 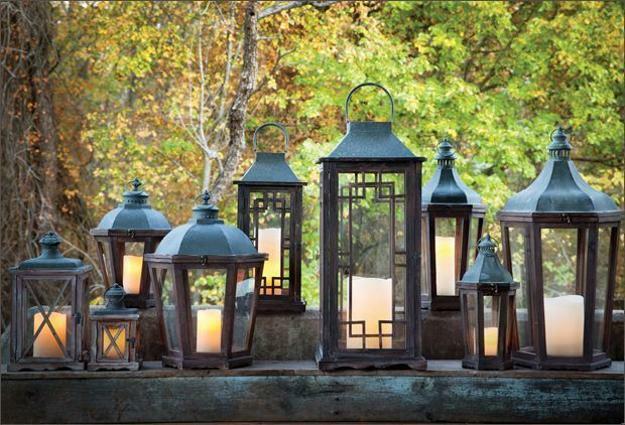 Graceful lanterns are romantic and familiar. 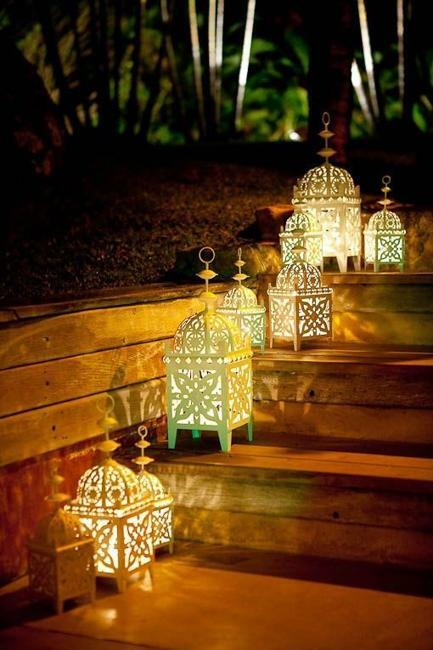 Moroccan lamps and carved candle holders or Chinese lanterns bring unique atmosphere and allow to organize truly amazing summer party outdoors. 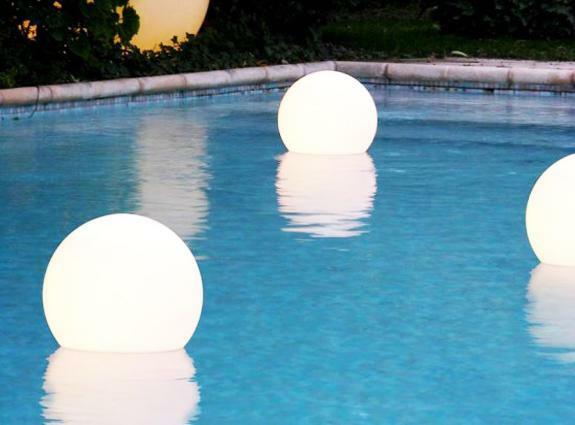 Mysterious Moon balls, globe lighting fixtures look wonderful on green lawns, steps or along a swimming pool. 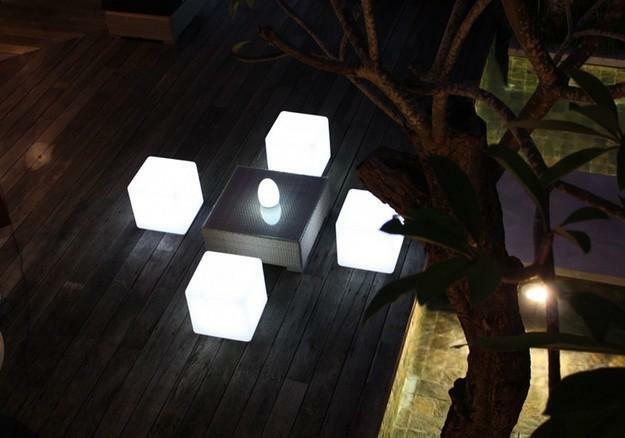 Outdoor lights are extremely effective way to brighten up outdoor seating areas and yard landscaping, adding bold accents to backyard designs and summer party decorating. 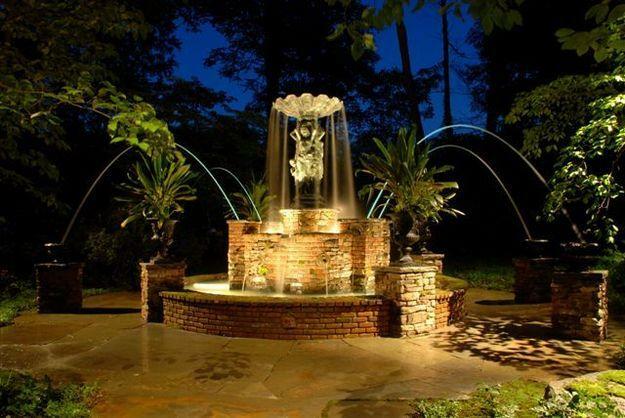 Outdoor lights can be placed beside water features, ponds, water fountains and waterfalls to increase the beautiful effect they create. 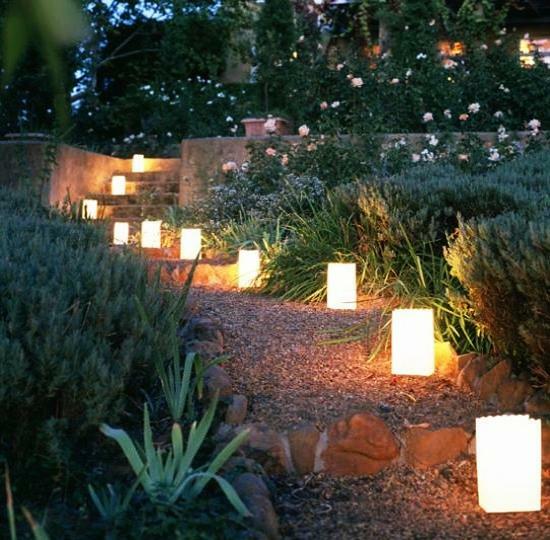 Various lighting design idea allow to create amazing summer party decor and illuminate beautiful yard landscaping. 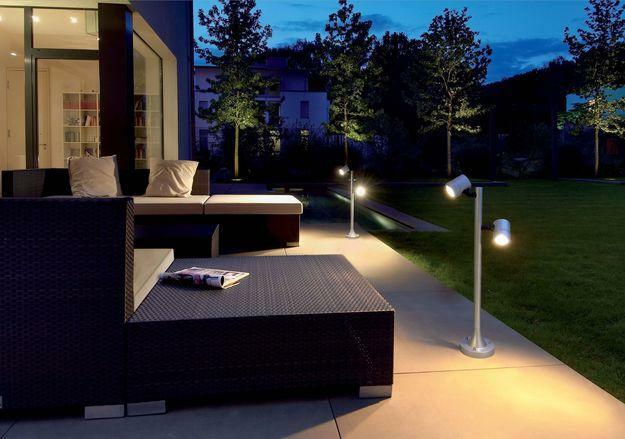 Modern outdoor lights, skillfully arranged along walkways and flower beds or around outdoor seating areas and water features, give festive feel and attractive look to summer party decor and elegantly brighten up backyard designs with majestic glow.